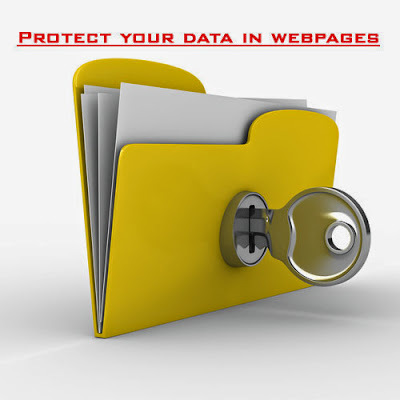 In this post i am explain about how to protect data in webpages using css and html. This is one of the simple concept but it is used to avoid the coping data from your site. This method to just disable the selection of the text. This is very useful for web developers who wants to protect the data in their websites.